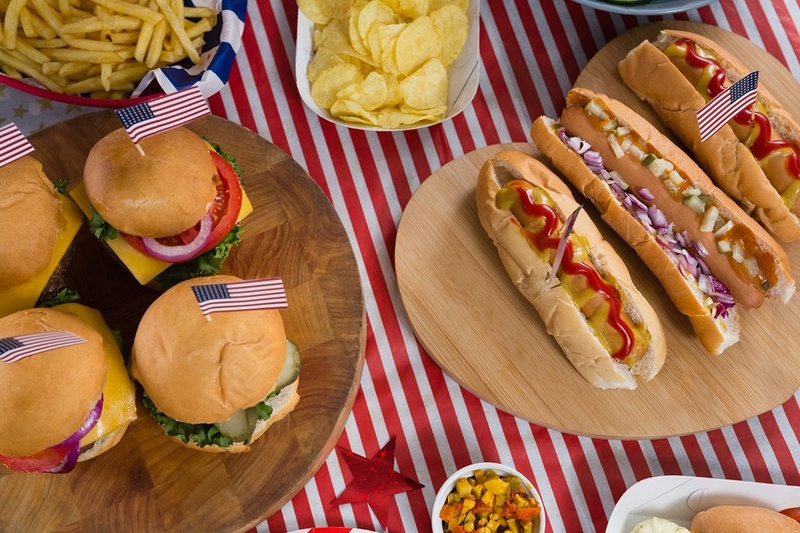 Between grilling, swimming and fireworks, the Fourth of July can be full of activities. Keep children far away from the grill at all times. Do not allow people to smoke near a grill with a propane tank. Do not use gasoline instead of starter fluid. Do not add lighter fluid to coals that are already hot and red. Never leave a lit grill unattended. If you must walk away – say, to grab a platter of food from indoors – ask an adult to supervise the grill in your absence. Keep a fire extinguisher next to the grill at all times. Require people of all ages who are not competent swimmers to wear a life jacket. Insist a supervising adult stay within arm's reach of a child in the water at all times. Enforce the “walk only” rule around your pool. Play it safe and ask your guests to pull up a chair (and watch a community fireworks display) rather than open a package of fireworks. If your declaration of independence elicits groans, remind them that fireworks ignite about 15,000 fires a year, according to the National Fire Protection Association. Firecrackers and sky rockets may seem especially dangerous, but it's actually sparklers that cause the greatest number of bodily injuries (probably because they are considered “safe” by comparison), the NFPA reports. If your adult guests insist on lighting sparklers – they are, after all, adults –ensure there is either a bucket of water or a hose within reach to extinguish a wayward wand or flame. Once you help your guests safely navigate the Fourth of July, make a note to call Polar Shades on July 5th to make an appointment for a free in-home consultation. You may want to purchase news shades to reward yourself for keeping your guests’ safe, but with summer nearly halfway gone, the time is right to update your windows before fall and winter – and a new set of holidays. Contact Polar Shades at 702-260-6110 today.